Search Engine Optimization With Gammon Enterprises Inc.
SEO Marketing And Optimization Tips, Specials, And Giveaways To Help Business Owners Become More Visible On The World Wide Web. SEO Marketing Packages Now At 25% Off Til End Of The Year 2013! How Much More Business Would You Have If You Showed Up On The 1st Page Of Google? The holiday season is here as well as New Years, and with the celebrating going on Google Agency Gammon Enterprises Inc. is bringing business owners a special savings offer. From now til the end of 2013 all SEO Marketing Packages are discounted by 25%! So if you're a self employed entrepreneur and need a boost in customers, now's the best time to save while building your presence on the internet. Many SEO Marketing Companies usually charge a pretty penny do to the demand of business owners needing more customers. However, our SEO packages are budget friendly for even the tightest budgets, with many packages starting at only $89/month to get started. Even if you're not needing any services at this time, or you aren't sure how visible your site is online, we have a Free Website Analysis for everyone at no charge. We'll give you a report on how visible your website currently is on the internet, vs your top competitors. Labels: business, business owner, business owners, business website, entrepreneur, free website analysis, internet marketing, internet marketing services, self employed, seo, seo companies, seo services. Plumbers Needing More Clients, Affordable Help Has Arrived! Starting a plumbing business isn't the easiest thing to get off the ground. It's not even easy for older plumbing companies who are just now promoting their business online. Being that their can be anywhere from 45-75 plumbers in any local area. With that many plumbers in the area, you must stand out from the rest. It all starts with your website and how good it is optimized and promoted on the internet and search engines. (Google,Bing, etc.) Being 1st on these sites is the key. And, it just got more affordable to get YOUR plumbing service company website shown 1st before your major competitors. 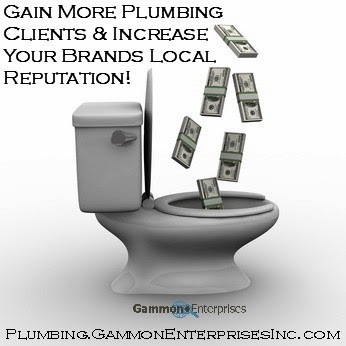 Google Agency - Gammon Enterprises Inc is giving plumbers the opportunity to pick up Plumbing SEO Marketing packages at a discount of 25%. Get free information about your website and how visible it really is on the internet today, at no cost. More Plumbing Clients, More Plumbing Calls, For A More Stable Plumbing Business! Has your plumbing website been showing up on the 2nd page or beyond in search engine results? If so, you are missing out on some serious plumbing clientele, quote calls, etc. If you need that extra push to get your plumbing site seen on the 1st page (where most of the clients are acquired), now's your opportunity. 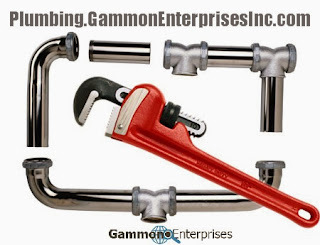 Google Agency Gammon Enterprises Inc is now offering Search Engine Optimization (SEO) services for plumbers at 25% OFF! Could you use the extra business? If you answered YES, or you just want to find out more information, feel free to get a Free Website Analysis on your current plumbing website. See what may be done to help your site show up 1st in your local area.